Silvano was raised in Flushing, Queens and attended The Bronx High School of Science where his love of the medical field first started. 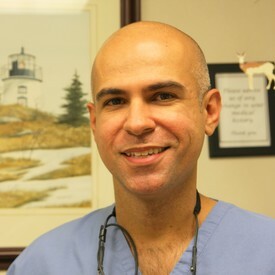 He continued his education at University at Buffalo and went on to graduate from SUNY at Farmingdale’s Dental Hygiene School. He spent three years at Schneider's Childrens Hospital where he cared for many healthy and medically compromised children. Silvano has been part of our team since 2003 and continues to work with adults and children with special needs on a part-time basis. Taking the time to listen to patients and explain all the options provides him with the rewarding opportunity to see patients achieve their optimal oral health. Ashley was an unusual child in that she never fought with her parents when it was time for her dental checkup; she actually loved going to the dentist! The warm feeling the team gave her, along with the great treatment that was provided, exhilarated her, causing her to choose a career in dentistry. Since graduating from SUNY Farmingdale’s Dental Hygiene,program, Ashley has become passionate about educating her patients on the effects of oral hygiene and their overall health. She provides exceptional treatment to her patients in the hopes that they will be as impressed as she was when she was a child, and is particularly enthusiastic about caring for her periodontal patients. Patients have commented positively on her gentle touch and the eye opening education she dispenses about their oral health. During non-working hours, Ashley stays active by dancing, doing volunteer work, spending time with her family, and chasing after her happy, energetic Chihuahua, “Taco”. After serving as Office Manager/Practice Administrator for over 25 years in three dental offices across Long Island, Diana is very pleased to bring her knowledge and experience to Dr. Chicvak’s office. Diana has served in many capacities in her long dental career; she received her certification as a Dental Assistant from the University of North Carolina at Chapel Hill’s School of Medicine, and graduated from SUNY Farmingdale with a degree in Dental Hygiene. Diana is a member of the American Dental Hygienists Association as well as the American Association of Dental Office Managers and has been featured in the Member Profile section of their national news magazine, The Observer. In her “spare time”, Diana serves as workshop leader for the renowned parent education workshop, How to Talk So Kids Will Listen and Listen So Kids Will Talk, a program that she says not only brings calm to families in their homes, but has practicality in the business world as well. Diana remarried in 2008 to an old high school friend after she chaired her high school reunion. Her blended family includes five grown children/stepchildren and two grandchildren that she adores. Her hobbies include cultivating her organizing skills, reading, writing, and collecting unusual kitchen gadgets. She is delighted to be a part of Dr. Chicvak’s team and says her "favorite part of the job is interacting with the patients because they become an extension of my family!". 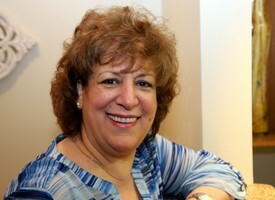 RoseMarie has been with Dr. Chicvak behind the scenes for several years. She received her MBA from Fordham University and spent over 20 years marketing various consumer luxury brands. While teaching Marketing as an Adjunct Professor at St. John's University, she learned the unimaginable thrill of teaching and impacting people directly. The move over to the healthcare world has allowed her to further enjoy the pleasure of "hands on" helping people as our Sleep Apnea specialist. Lisa received her MBA from St. John’s University and spent over 14 years working in Human Resources, specializing in Benefits, Recruitment, and Compensation. She briefly paused her professional career to dedicate her time entirely towards raising her two children. Shortly thereafter, Lisa accepted a part time position in charge of licensing an existing Energy Service Company in nine new states within a brief 12 month period. Taking on and tackling new challenges is where Lisa thrives. Entering the health care world, Lisa is happy to be back in a warm friendly environment where she can utilize her HR skills, knowledge of the insurance industry, and warm personality interacting with patients.